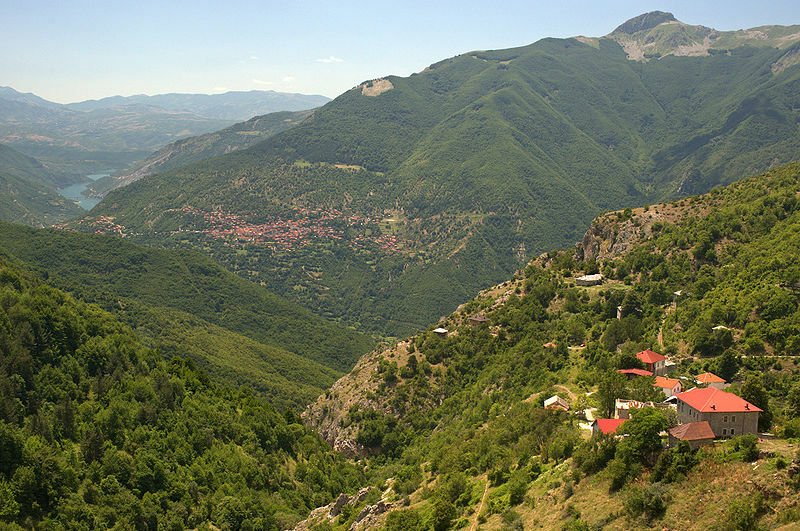 Galichnik is a mountain village in the Republic of Macedonia and along with Lazaropole is one of the two biggest and oldest Mijak villages in the region. Galichnik has well preserved traditional architecture, including an amphitheater in the village square, and is famous for its surrounding countryside and nature reserve. People from Galichnik and northwestern Macedonia appreciate the local yellow cheese (Kashkaval) that is produced in the region as well as the local salt brine white cheese "belo sirenje". 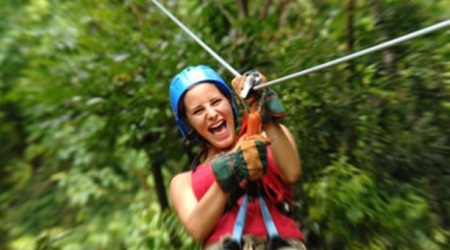 It is located on the slopes of the Bistra Mountain, some 10 km from the artificial Lake Mavrovo and the Zare Lazarevski winter resort. The village is part of the Miyak region and the Macedonian people living here are called Miyaks (Macedonian: Мијаци) (Mijaci) - the name of the Macedonian tribe whose ancestors settled in mountainous villages in the northwestern region of Macedonia. This region has plentiful rich pastures for livestock grazing and this feature attracted numerous nomadic tribes who created settlements based on cattle-breeding and sheep herding. 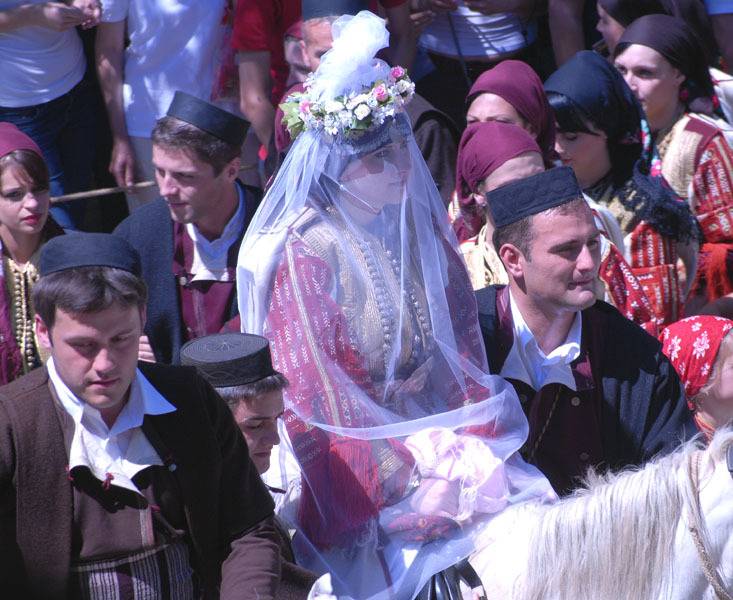 The most important event in the village is the Galichnik Wedding, a traditional wedding custom held annually in summer (in July), on the day of the village feast of the Patron Saint – Petrovden (St. Peter's day). 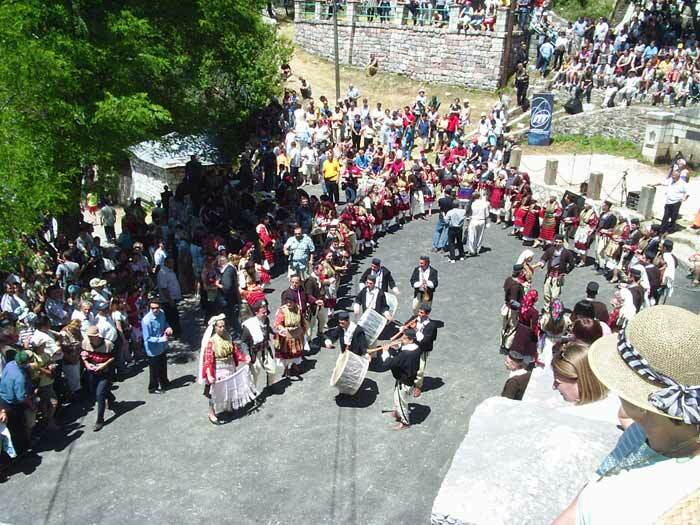 During the wedding, local men will dance the "Teškoto" (the "hard" or "heavy") - a dance that is meant to symbolize the overcoming of difficulties in life. 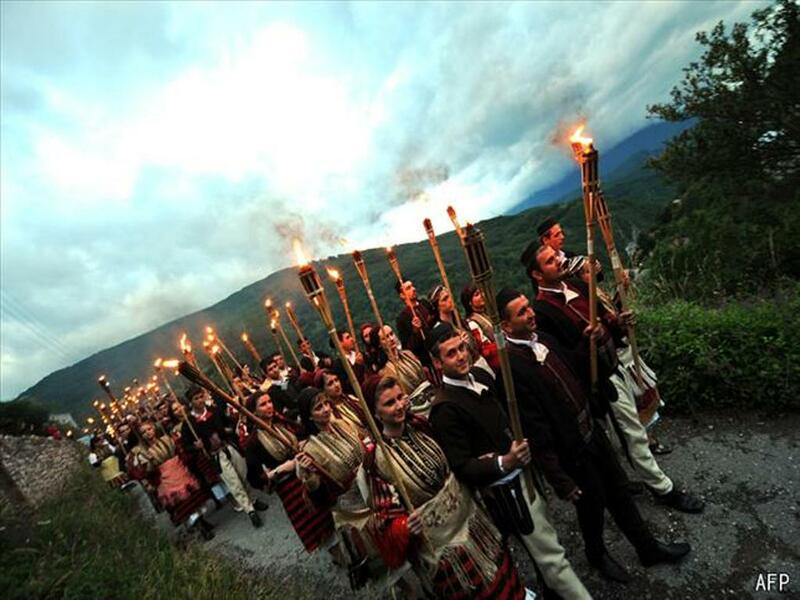 On one day every July, St. Peter’s Day, locals and tourists alike are invited to attend the traditional Macedonian wedding celebrations at Galichnik, a legendary old village in the western mountains near Mavrovo. 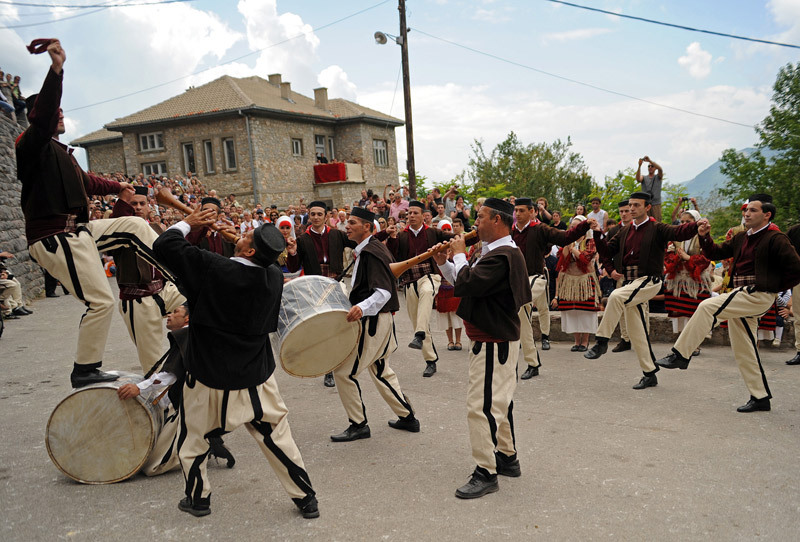 The three-day feast, which includes much song, dance, eating and drinking, uses traditional customs, costumes, and rituals and dances that have been passed down over the centuries. During the wedding, local men will dance the "Teškoto" (the "hard" or "heavy") - a dance that is meant to symbolize the overcoming of difficulties in life. 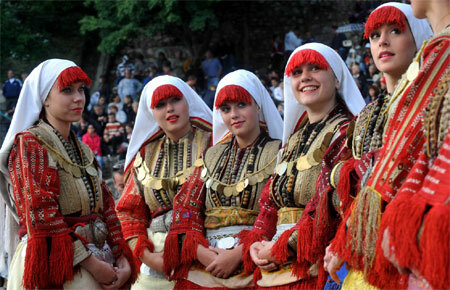 The Galichnik Wedding is an incomparable event that every visitor to Macedonia must experience at least once.